This is striking against a backdrop of peony foliage - brings color up to eye level. If you've never grown a Reblooming Iris or have had mixed results with other varieties, we suggest you try 'Immortality,' for it rarely disappoints. After mounting a good show in June, this sweetly fragrant beauty produces a second crop of pristine white flowers in late summer almost every year and in almost every climate (it even reblooms in Zone 4). It's also a great garden plant. Hard to beat. 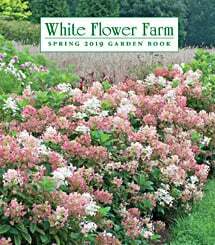 Reblooming varieties have been bred to produce bloom stalks more than once a year, first in spring and then again in late summer or fall. Although they have a tendency to rebloom, they are not guaranteed to bloom a second time. Repeat bloom is dependent on many things, including geographic location and growing conditions. But it’s definitely worth trying these varieties for a chance at a second round of stunning blooms. Iris is a large genus with upwards of 200 species, which range from inconspicuous wildlings to the extravagant Tall Bearded Iris. Plenty of sun and well-drained soil with a pH near neutral are the primary requirements for their success. 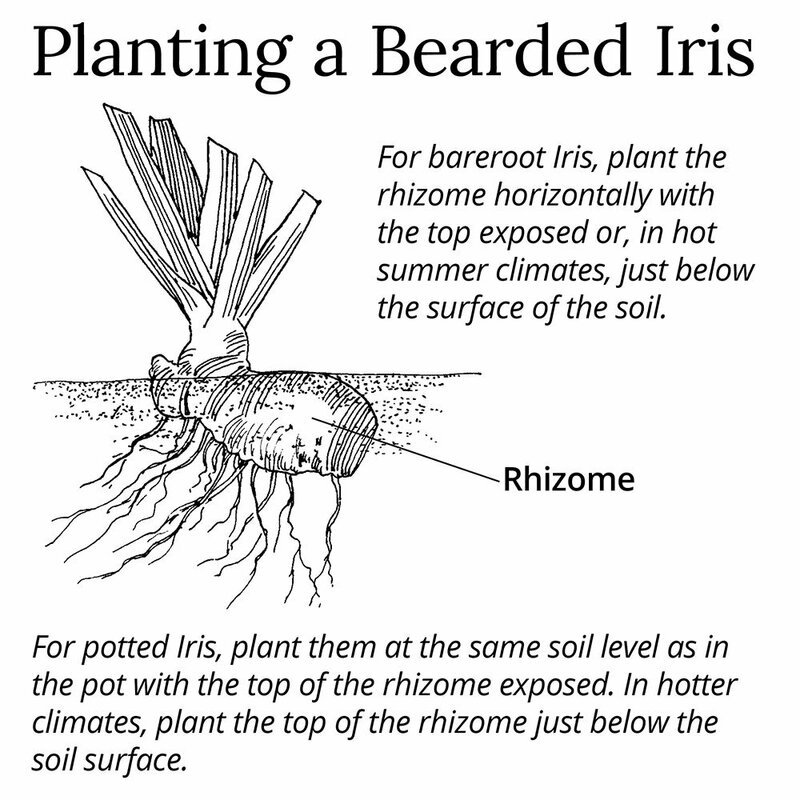 For spring-shipped potted Iris, plant the rhizome at the same soil level as in the pot. The top of the rhizome should be exposed, or just below the surface in hot summer climates. For fall-shipped bareroot Iris, plant the rhizome horizontally with the top exposed, or just below the surface of the soil in hotter climates. Bearded Iris are best planted in the fall because they go dormant in June and are harvested in August. For more information on growing Iris, click Growing Guide. i see lots of bang and love this iris. I love this iris. I have had it for many years and given starts to many people. It is spectacular with its ice blue buds and brilliant white flowers. I bought it along with several other rebloomers but this is the only one that has persevered. This is a beautiful white Iris that produced multiple blooms in the fall. Just so unexpected to see an Iris in the Fall. Perfect, beautiful, multiple blooms. Look, it simply didn't work for us.